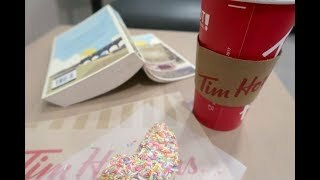 What do you do when you have two train loving children? Take a train trip somewhere exciting of course! 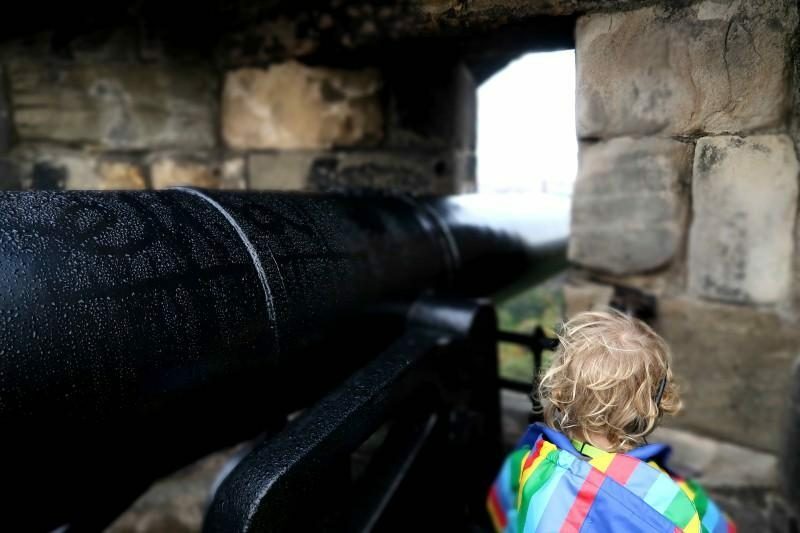 For us that trip had to be to Edinburgh Castle, one of the few castles in our area of Scotland the boys haven’t actually visited. 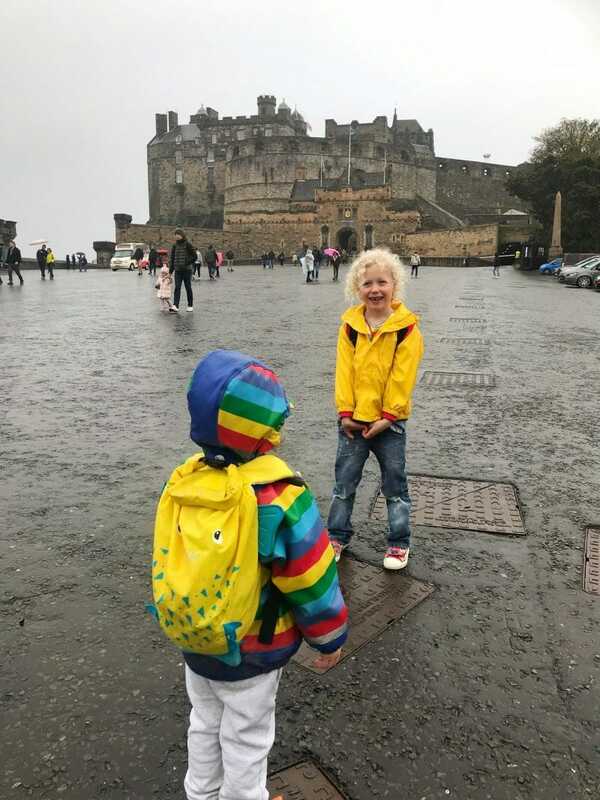 I know, I know, it’s the most iconic castle for any tourist visiting Scotland, but it’s just not somewhere we have visited as a family, until now! When we head into the city we normally use the train. It makes much more sense than having to navigate through busy streets and use expensive parking areas. The train to Edinburgh takes us right to the centre quicker than the car would! 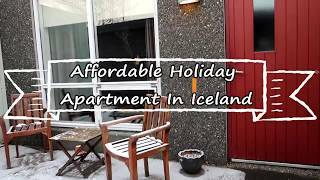 Plus there’s no worries about finding a parking space or getting lost down one way streets. 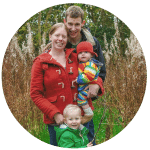 We are also the proud owners of a Family and Friends Railcard, which gives us 1/3 off our rail fares when we travel with our 6 year old. 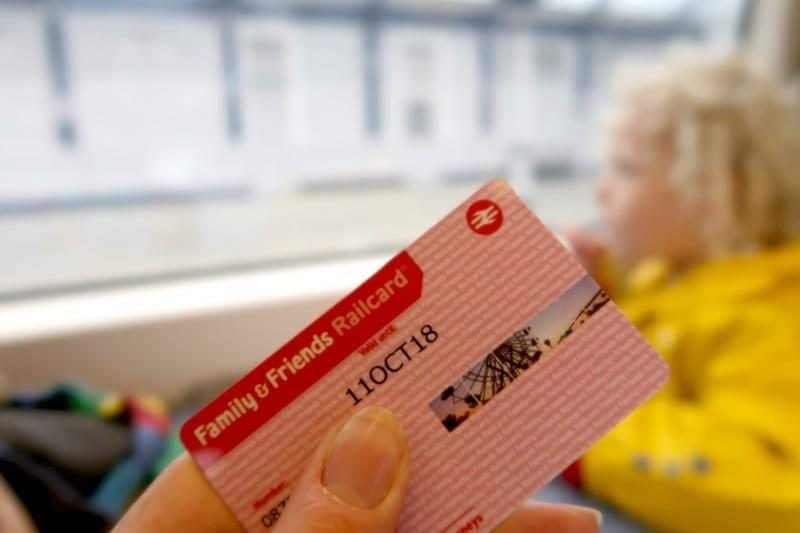 The Family and Friends Railcard is £30 for a year and allows up to 4 adults and 4 children to travel cheaply on the same card as long as at least one of the named cardholders is present with at least one child aged 5-15. 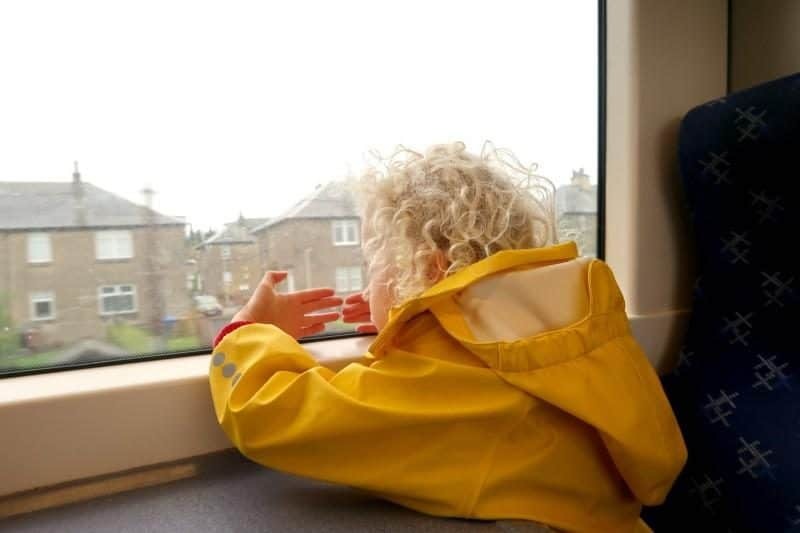 This works well for us as we use the train a lot, but it’s even better for when you are planning a longer trip, it saved us an INCREDIBLE amount when we travelled to London by train last year! Edinburgh Castle is just a short walk up the Royal Mile from Waverley Station. There are various routes to take from the steep but quick steps opposite the station exit toward the Royal Mile or longer routes with no steps, which will be suitable for buggies or wheelchairs. Before you go to the castle you can pre-book tickets, which can be printed out when you arrive. This is so much easier than a long queue for tickets (especially in the Scottish rain!). Through the castle gates, on the right, you can hire audio sets to listen to the commentary on the castle. There are many, many plaques around the castle that have a little number to type into your headset and you can find out more about that particular feature. My two love these headsets and although I don’t know how much they actually take in, they are certainly listening! There has been a royal castle on Castle Rock since the 12th century, although only St Margaret’s Chapel survives from that period, the majority of the current castle dates between the 15th and 17th century. By the end of the 17th century the medieval castle became a military base and was no longer a royal residence. In the early 1800’s Sir Walter Scott and a group of friends searched for the lost Scottish crown jewels that were reported to be buried somewhere in the castle. A chest was discovered with the Honours and they were put on display in the castle for the public to view. There was a bit of a queue around the Honours when we visited, but both boys were interested in seeing an actual crown after watching films such as Frozen where their favourite character is crowned queen. Unfortunately no pictures were allowed of the Honours! 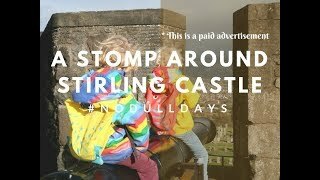 We had fun exploring the castle and finding out more about the amazing history. The castle has been through a HUGE amount of sieges and and attacked more times than any other UK castle, but is still amazingly standing! 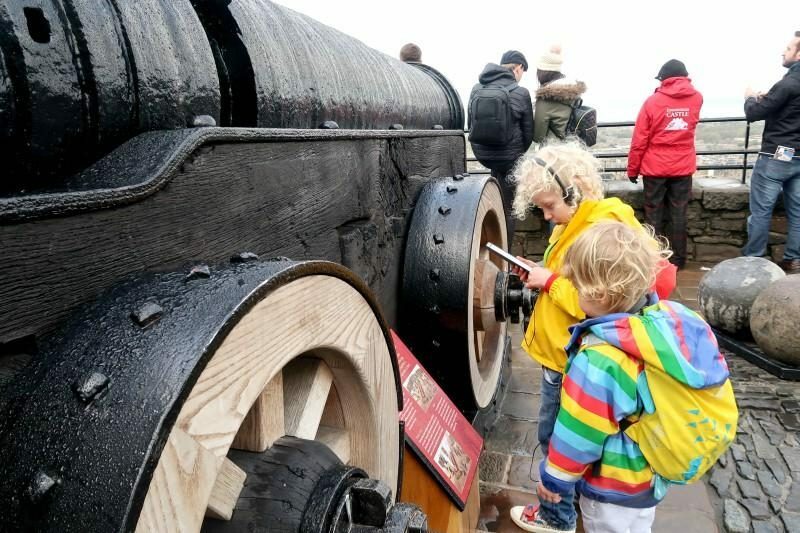 The boys loved Mons Meg, the 15th century 20 inch calibre that is massive. Of course the view is pretty impressive too! 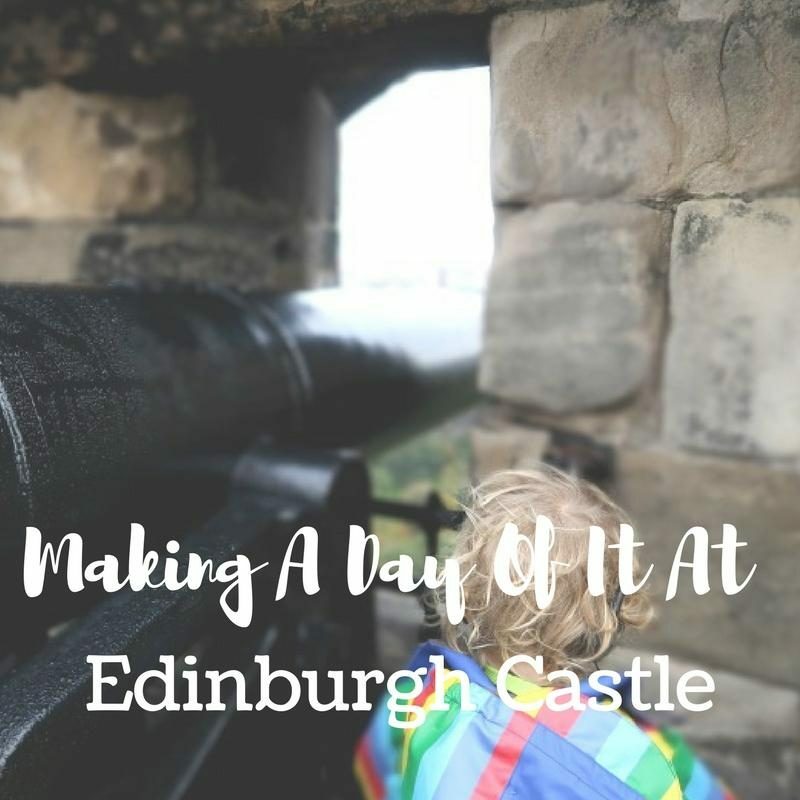 Have you ever been to Edinburgh Castle, did you get the train too? * This is a collaborative post with Railcard, but all opinions and destinations are my own. HI there. Really enjoyed your post and have to say I am jealous. We were in Edinburgh one time for part of a day but didn’t get to the castle. Of course, we saw it, but didn’t make it inside. 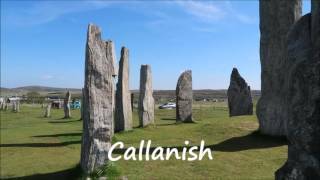 It is definitely on our to-do list the next time we are there. Thanks for sharing the pictures and some history. Happy travels. Hopefully you can come back up another time and see it properly? 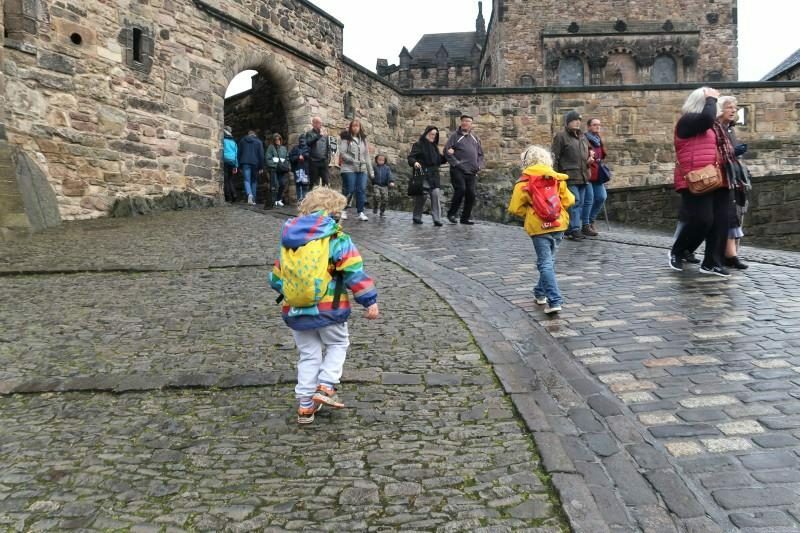 The walk up the Royal Mile is always a fun part of the visit too!